The modernization program of the Moscow Oil Refinery includes a proposal to create an Advanced Oil Refining Complex that comprises the construction of flexicoking processing units and a power generation unit operating with flexigas, a low-calorific gas formed in the process of flexicoking. This will make it possible to reduce the demand for steam and electric power from external networks. 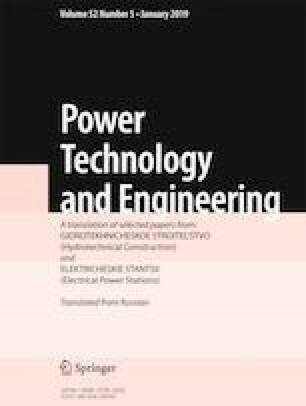 An analysis of the currently functioning and future demands of the Moscow Oil Refinery for energy resources and estimation of existing energy sources for the plant is performed, requirements imposed on the power generation unit are determined, current flexigas firing technologies are reviewed, the choice of an optimal variant configuration of the power generation unit is evaluated, and the principal technical decisions for the equipment of the power generation unit are presented. Translated from Élektricheskie Stantsii, No. 10, October 2018, pp. 17 – 22.